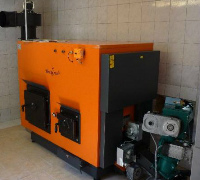 The very special features of this boiler series are that the high temperature combustion chamber is integrated into the boiler body and thus the radiant heat of the fireclay bricks is diverted to the boiler water. 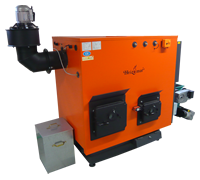 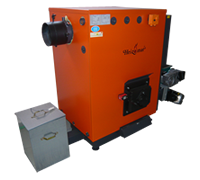 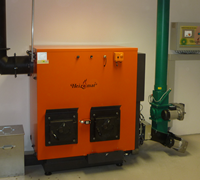 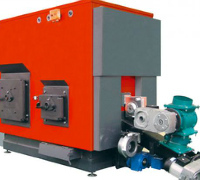 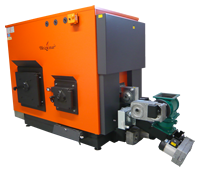 The moduating boiler has combustion chamber cleaning with an ash removal paddle and automatic cleaning of the heat exchanger tubes with de-ashing auger. 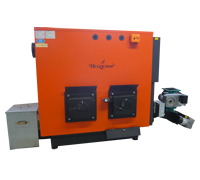 The possible operating modus is continuous or ignition with glow bar automatic ignition.